We take pride in the name of "Songwriters Studio" because I developed a relationship with the artists and increased our customers by designing a specific sound for each. In the last year we have expanded logistical, purchasing new equipment and we have provided a much more generous collaborators, conducted on performance. 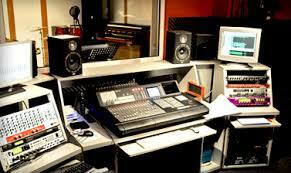 Thus, we created the studio A that is focused on recording acoustic soundtracks for feature films, documentaries and cartoons, music for video games, including doubling of voices and special effects, music albums, post production, commercials / IDs sung jingles / promos for radio and TV, DVD presentation, and soon we will complete studio B, dedicated exclusively to media productions. Also we have a powerful acoustic chamber, they are professional-level structure "room to room" equipped with tools top, where musicians can perform. Our goal is to get talent artists, composers, producers, musicians community to another level.